Gothenburg-based consortium Season 5 were announced as winners of the Urban Food from Residual Heat competition on Wednesday this week. The consortium composed of architects, urban farmers, engineers, consultants and social entrepreneurs claimed the grand prize of 650,000 SEK – approximately € 62,000 – at the final awards ceremony Food and Cities conference hosted by the City of Malmö. The competition has been seeking an answer to the question ‘can we create food production centres in urban areas that are powered by low temperature residual heat streams found in the city?’. In reality however, the competition has asked for much more than that, demanding that proposals meet strict criteria within social and economic sustainability. 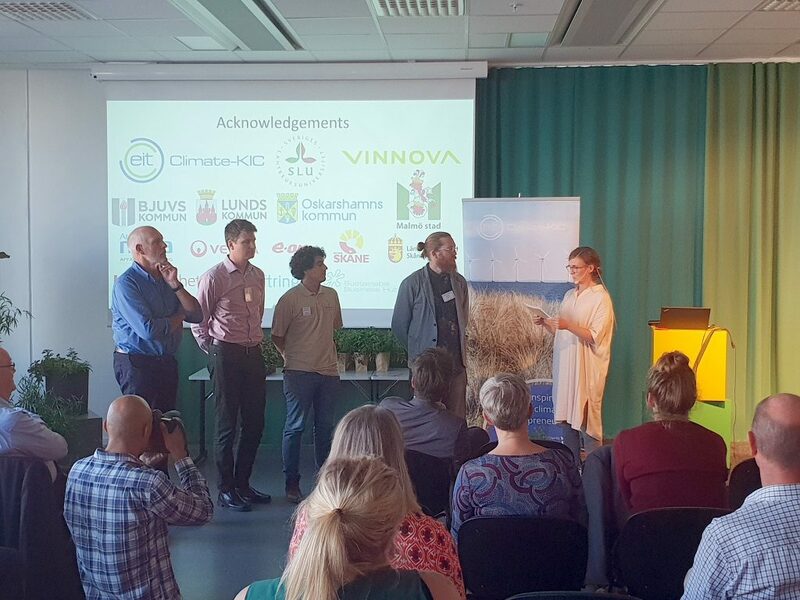 “It was a complicated question to answer as it was important that the winning solutions satisfied a wide variety of criteria, beyond just making the production of food technically viable” says the competition’s head organiser Bengt Persson of the Swedish University of Agricultural Sciences. “Due to the economic barriers that often prevents food production in urban areas being feasible, any urban food production centre needs to have an innovative business model and significant social impact. I think all our finalists today achieved that”. Launched in March 2017, the competition has received entries from over 20 different countries worldwide, including ideas submitted from Kuwait, Jordan, the United States, and Kenya. Over the course of the competition, individual participants formed into five separate consortia, combining their individual competencies and ideas to create proposals covering all aspects of the centre design, from recovering energy from waste heat streams to the sale of goods and services on the local market. Whittled down to three finalists in March this year, after much deliberation the competition jury decided to award the final prize to Season 5 as their unique modular model and approach to their centre’s business model was felt to have the edge on the other finalists. Presenting the award to Season 5, Märta Stenevi, Mayor of City Planning and Service, City of Malmö, for the Swedish Green Party, highlighted the growing societal disconnect between residents of the city and the food they eat and the need for food systems to operate within the planetary boundaries. Congratulating the team on demonstrating how this can be effectively reduced, she stressed the need for more innovative urban food initiatives in order to close this divide. Reflecting on the competition process as an organiser, Peter Vangsbo, Climate-KIC said “We are very happy with the outcome of this process. We had three very strong finalists, answering what is in reality a very difficult question. And as such, selecting the winner was possibly the most difficult decision. Looking to the future, we are now looking forward to working with the Season 5 team and our four Swedish city partners to attract investors for this project and bring this vision to life”. 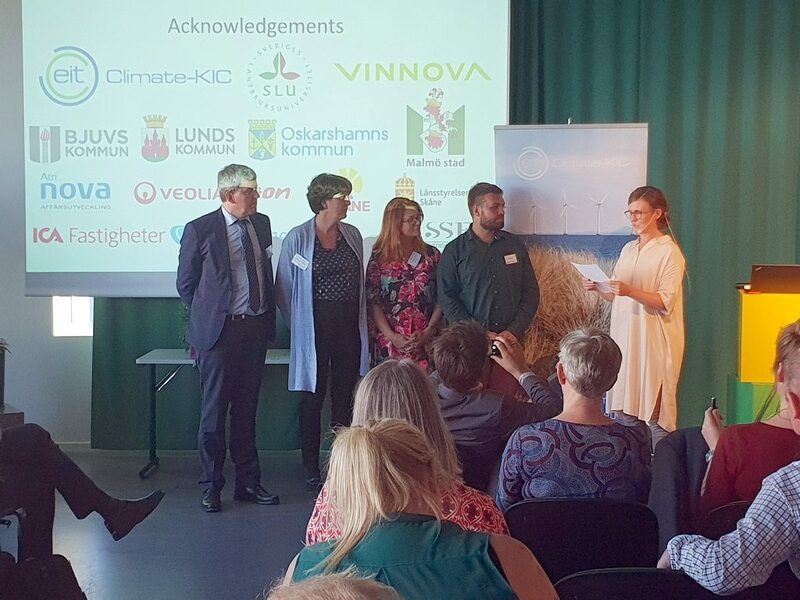 The initiative to Urban Food from Residual Heat is coordinated and managed by Swedish Surplus Energy Constellation (SSEC). SSEC is a contractually bound collaborative partnership between cities, research institutions, the private sector and network organisations. 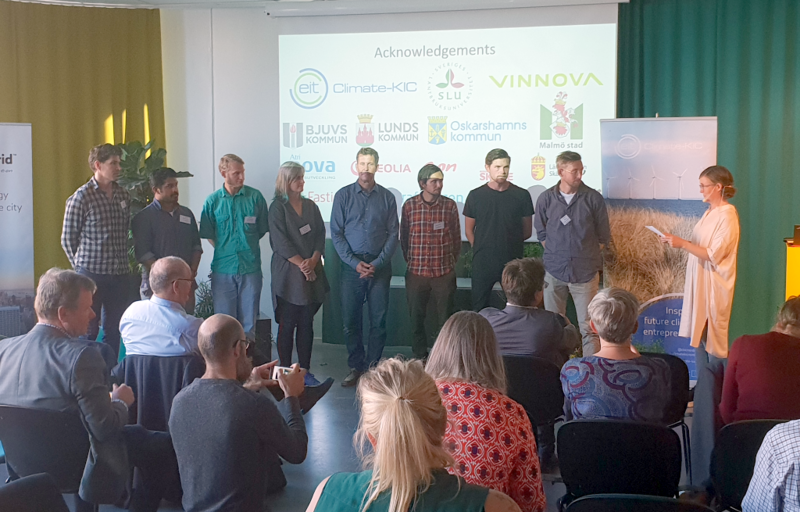 The innovation competition partnership is made up of thirteen partners: Swedish University of Agricultural Science (SLU), Climate-KIC Nordic, Malmö Stad, Bjuvs Kommun, Oskarshamns Kommun, Lunds Kommun, E.ON Sverige, Kraftringen, Veolia, Sustainable Business Hub, Region skåne, ICA Fastigheter, Atri Nova/Oskarshamn kommun, and Länsstyrelsen Skåne. The competition has been kindly supported by grants from Vinnova and the competition partnership. Season 5 has a convincing and simple structure that is based on modules and mainly standard components, but the container module is not available on the market but remains to be developed. The basis of the economic model is the cultivation of fish and vegetables, which complies with the competition task. The proposal shows various urban applications where modular construction provides flexibility and adaptability. The three applications presented to Malmö, Lund and Bjuv are interesting ideas for realizing the proposal. The proposal is architectural and construction engineering, which makes it reasonable that the plant can be integrated into an urban environment and that implementation can be possible within a not too distant future.